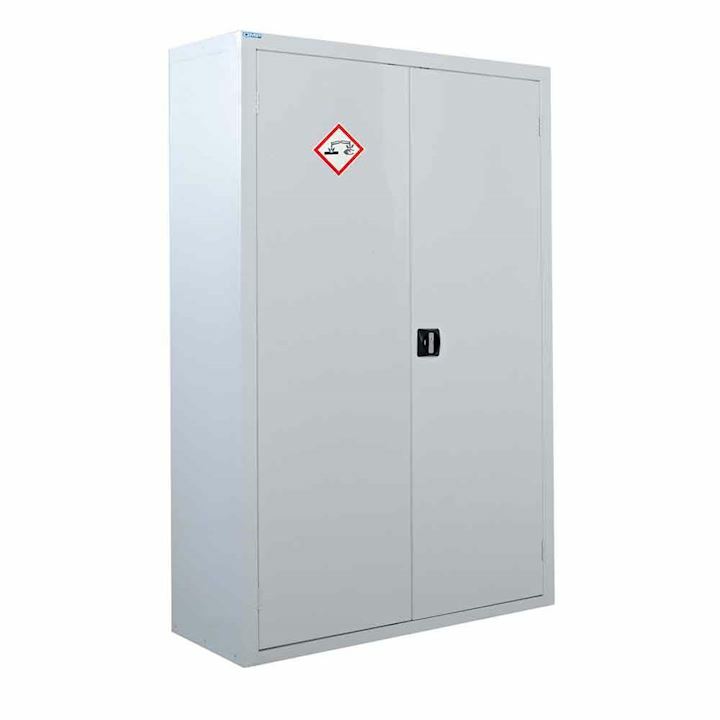 Our acid and alkali cupboards encourage safe and identifiable storage of acid and caustic materials in line with HSE and COSHH recommendations. 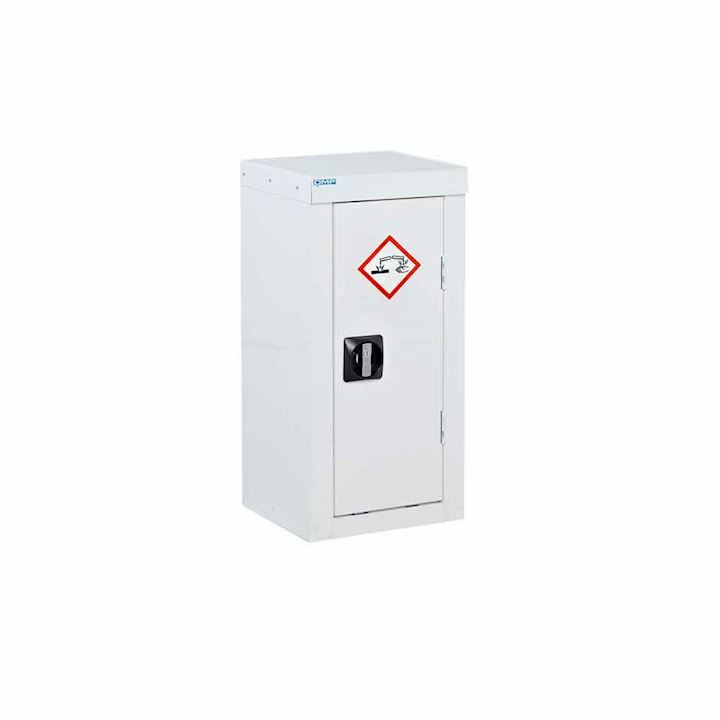 Our range includes acid wall cupboards and mobile acid and alkali cabinets. 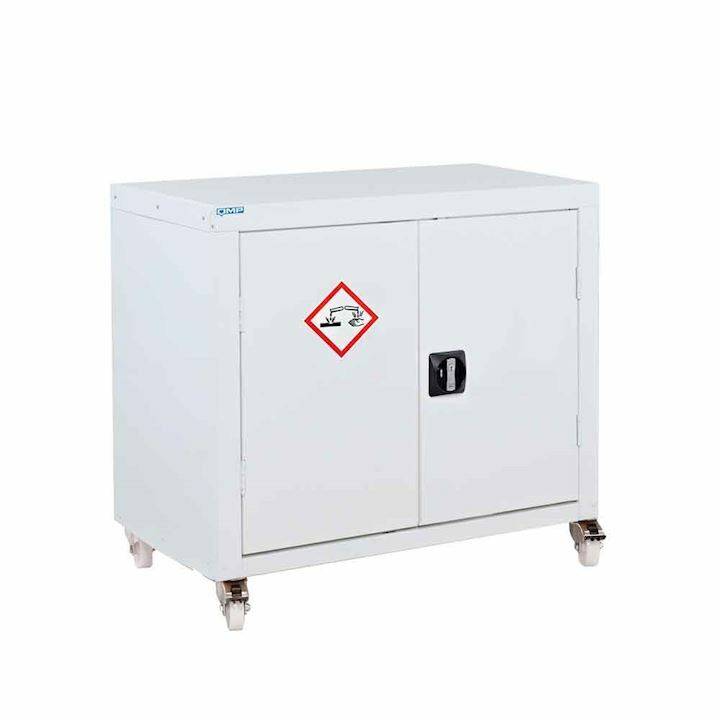 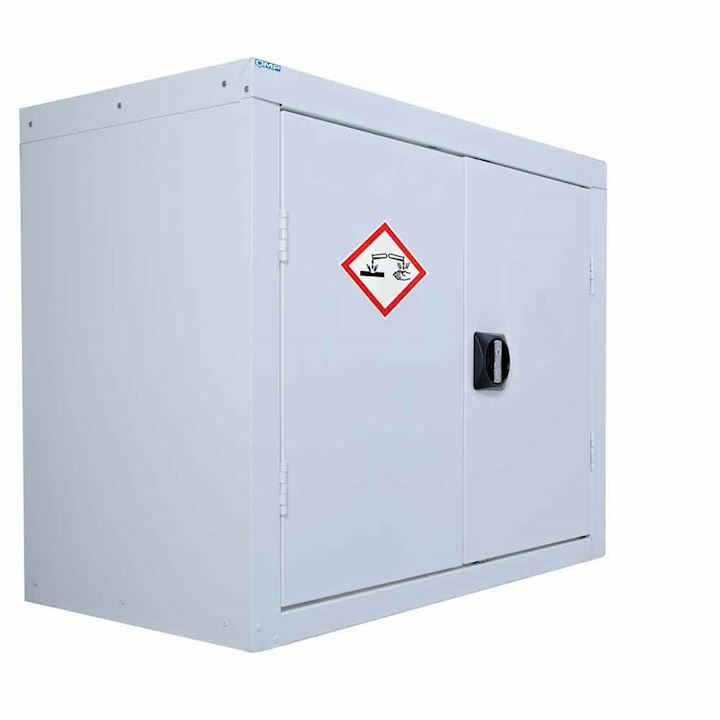 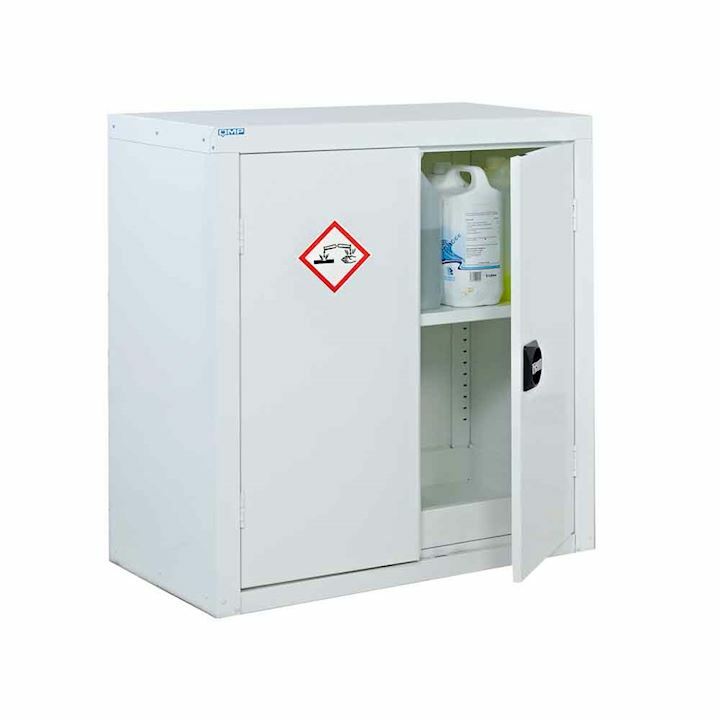 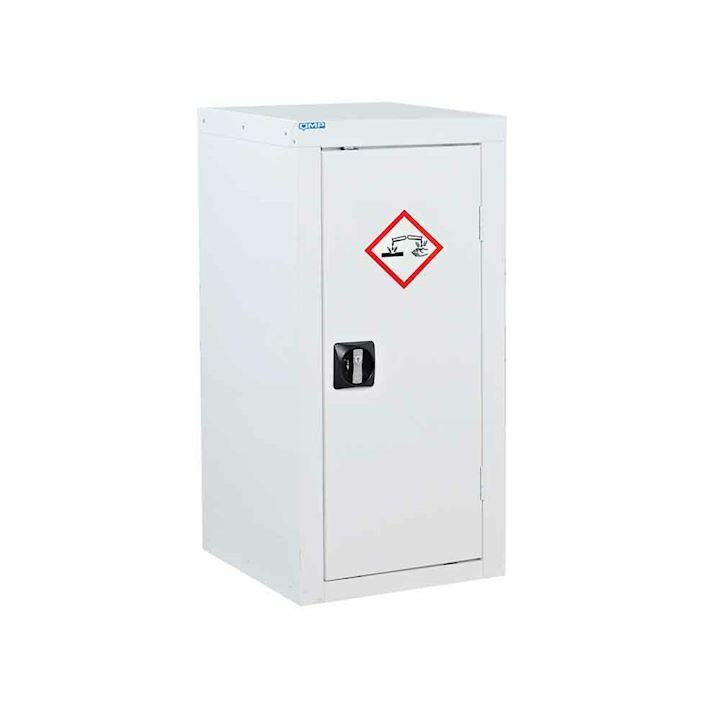 Our acid and alkali cabinets are in a white paint finish with caustic warning labels and integral sumps for the correct handling of hazardous chemical spills. 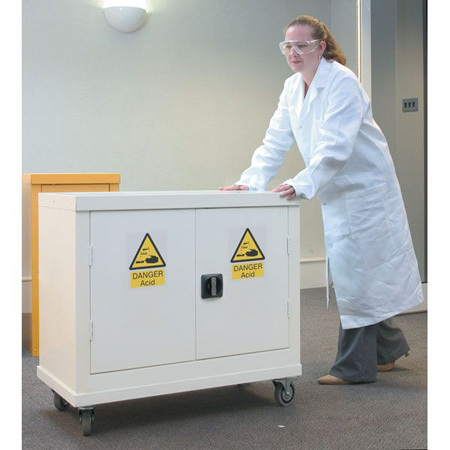 For general storage of hazardous substances see our hazardous substance cabinet range.